Our mission in religious education is to collaborate with parents to form a new generation of Catholics who know and love Jesus Christ and live as his disciples in the community of the Catholic Church. Toward that end, we strive to offer a unified, solid and engaging religious education program. While our children and youth will receive important formation in the parish religious education program, the Church strongly encouraged all parents to walk closely with their children as they grow in knowledge and practice of the catholic faith. 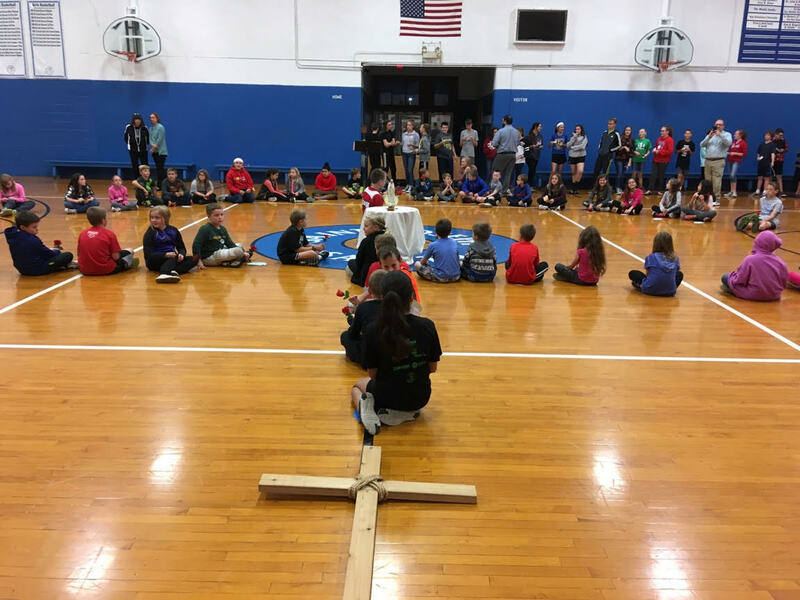 Through School & CCD classes, Club 3:16, Vacation Bible Adventure, Pray & Play, First Communion and Confirmation Preparation classes and other programs, the Religious Education Program sows the seeds of faith that will bloom eternally in each one of our children. 2018 Catechist Welcome Back Video! When Jesus commissioned His disciples to “go forth and make disciples of all nations,” He entrusted each one of us with both the privilege and responsibility of bringing the Word of God to those we encounter in our lives. Parents, first and foremost, begin this important task when they bring their child forward to receive the gift of faith through Baptism. They are their child’s first teachers, nurturing faith within their homes. The CCD Program helps nourish that growing faith with religious instruction for children in Kindergarten through Eighth grades. 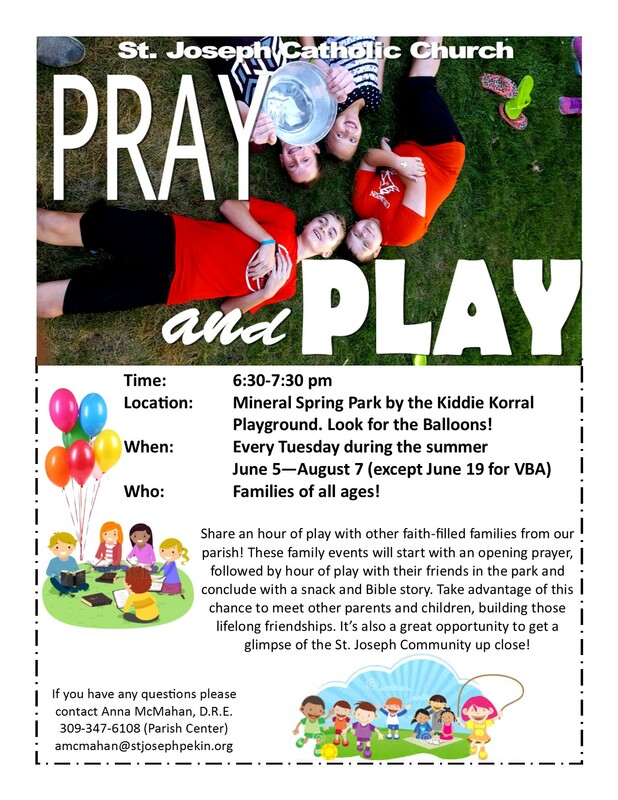 Classes are held at St. Joseph School on Wednesday evenings from 6:30 to 7:30 p.m. The Sacraments of First Reconciliation and First Holy Communion are received in the Second grade. The Sacrament of Confirmation is a two-year program beginning in the Seventh grade. Students then receive Confirmation in the autumn following their Eighth grade. Each Confirmation student is required to do 15 hours of service including five family hours, five church hours and five community hours. They must also attend a Confirmation Retreat held here in our parish. Students who enter the CCD program after Second grade and who have not received the Sacraments of Reconciliation and Communion are prepared on an individual basis. High school age students who are entering the Church or who have missed Sacraments in the Second and Eighth grades may attend a class that will give them a study of the basic Catholic beliefs and prepare them for the Sacraments of Reconciliation, Holy Communion and Confirmation. St. Joseph’s Religious Education program is always in need of volunteers and teachers. If you’d like to help share your faith and love for God, please call the Parish Center at 347-6108.